From its early days as a gold mining town, Girdwood has developed into a sought-after residence and premier resort destination. With a population of nearly 2,000 people, Girdwood has come a long way in its short history. Walking down its streets, Girdwood brings to mind any number of small towns, but its unique location and rugged terrain provide residents and visitors with endless hours of activities throughout the year. During the summer months, enjoy such recreational opportunities as rafting, fishing, golfing, glacier hiking and paragliding. The winter months are reserved for skiing and snowboarding. Even if you have never participated in these activities, many tour operators offer guidance to new enthusiasts. Tourism is a large part of the economy in Girdwood, and many businesses and services cater to out-of-town guests. 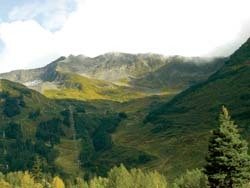 The Alyeska Resort provides countless job and recreational opportunities for residents. Alyeska Resort includes The Hotel Alyeska with its 307 spacious rooms, fine dining, spa, and retail shops. A number of golf, spa, and ski packages are available. With three new chairlifts and a day lodge, this first-class ski resort provides amateurs and professionals with challenging trails in the midst of rugged landscape and snow-capped mountains. Prior to recent renovations and improvements, Alyeska Resort changed hands several times since its development in the mid-1950s by 11 local businessmen. The city itself was named after James Girdwood, an Irish immigrant with gold claims in the area during the turn of the century. 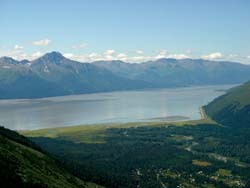 This “Glacier City” prospered following the construction of the passing railroad and again with the completion of a road through the town that connected Seward and Anchorage. This roadway, Highway 1, continues to lead people to the Girdwood and its delightful communities. Looking for Girdwood homes for sale? Search our local listings database for access to listings in Girdwood and surrounding areas. Whether you want to buy or sell Girdwood, Alaska real estate, you can browse through properties or find a wide variety of real estate resources available on this website. If you are looking for a Girdwood REALTOR®, choose The Kristan Cole Network! As your Girdwood real estate agent, The Kristan Cole Network can assist you with all of your home buying and selling needs. We can provide you with access to the local listings database and offer our experience and knowledge to make the home buying or selling process easier for you and your family. Contact The Kristan Cole Network today to get your home search started!